Happy Tuesday! Things have been a bit crazy around here. Ryan came home with a fever last Wednesday evening. Well, he was out of school Thursday and Friday, sick all weekend and out again yesterday. He's been spiking a fever of 102/103 and has been coughing a lot. We were at the doctor over the weekend and they said it was a virus, but we went back again yesterday and she thinks it's turned into a sinus infection. Ugh. We're on antibiotics, so I'm hoping this will knock it out of him. (Please say a little prayer that it does...) I'd say 'Poor Little Guy', but he's actually been quite content. He loves the fact that he's been able to stay home and play for all of this time. Any reason to miss school works for him! Anyway, onto scrappy stuff. I recreated the card in the post below. I decided to use Webster's Pages Botanical Christmas for this one. I really love the concept of the fancy envelope and card. 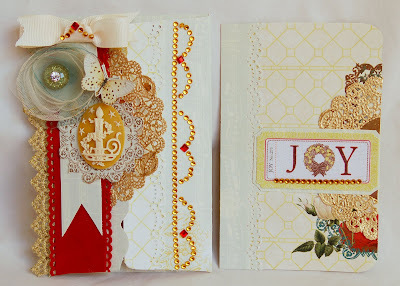 There's a tutorial for this card on the Webster's Pages Blog today, along with two more Christmas cards that I made. Stop over! I also wanted to share this page with you. 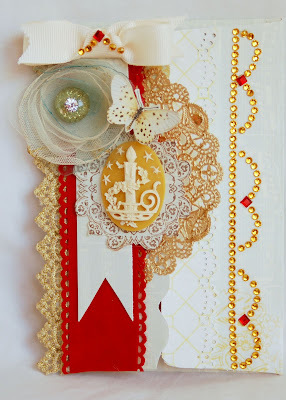 I was inspired by Webster's Guest Designer Stephanie Garbett. I took this picture of my beach bag this summer as I was lounging on the beach in Sea Isle, NJ. I actually was all alone! Fran had taken Ryan to the arcade and I got to dig my toes in the sand and read People magazine. It was a little slice of heaven. So I decided to do a page about it. I did a lot of handcutting and layering. And I mixed things up a bit by using the Trensetter, Let's Celebrate and Country Estate lines. 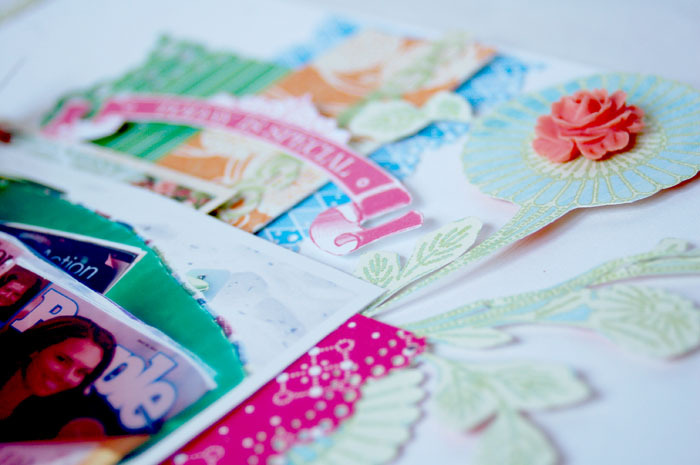 Not only do you make beautiful cards but now even the envelopes, too! Will check out the tutorial. Beautiful detailed cutting on the layout. Hope the medicine is doing the trick for Ryan. So sorry to hear about Ryan, although it sounds like he doesn't mind too much. ;) Hope the antibiotics kick it out of him. Both my kiddos came down with something yesterday, but both trudged off to school this morning. Keeping my fingers crossed it's nothing too bad. LOVE your gorgeous Webster's projects, Anabelle! That envelope and matching card are stunning! Love how you used the silhouette and love the gold doilies. 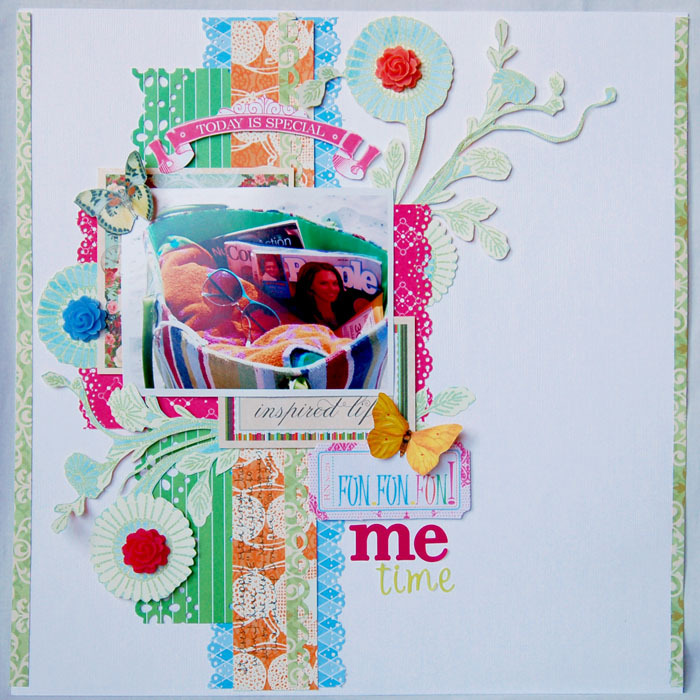 And such a beautiful summertime layout, too. Cute theme and adorable design. Beautiful! Love the bright colors from you! And get well soon, Ryan! 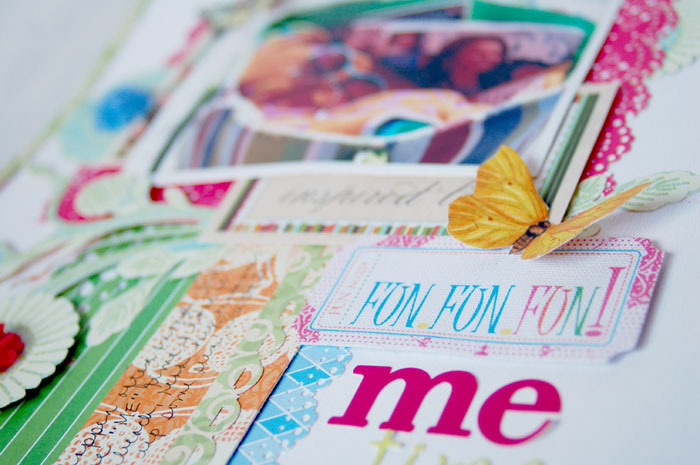 Lovely cards and what a great idea for a LO! I hope your son gets feeling better soon! I sure hope Ryan gets to feeling better. We've had it around here,too. No fun...poor guy! LOOOOOVE your gorgeous work! TFS Stephanie's lo, too...LOVE her work, as well! Both your card and your envelope are gorgeous! 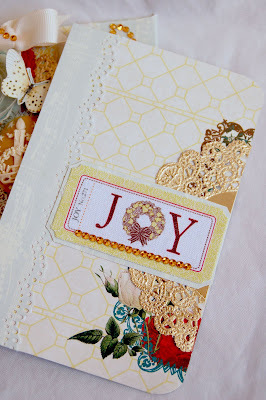 What a treasure it will be to receive one of your cards, especially now that they're being packaged in such a beautiful envelope too:) Your layout is pure gorgeousness too! I love all the bright colours in it. I hope Ryan will feel better soon, though I see what he means: sometimes being out of school can be pretty fun too, LOL! I love the bright look of your LO and your envelope ( and card...) made me sigh...jaw dropping gorgeous! Hope your little guy is better by now - no fun at all. That envelope is beyond amazing! I wouldn't even want to open it. Hope your son feels better soon! We are experiencing so many sick ones at school these last few weeks. I was hoping it would be a little while longer before it kicked in. Anyhow, your card and layout are amazing! Love the candle cameo you used on the card! On my list to buy! Such gorgeous creations!!! I hope your son feels better soon! I just went a round with broncitis and it won :-( Antibotics will get him better in no time! WOW! Love the card and LOOOOOOOOVE the layout! Im sorry Ryan's been ill, though!